Currently hundreds of families are being housed temporarily in hotels while more permanent accommodations are being secured for them. Your support helps families adapt to life in Canada and transition to new communities. Within this week, the school will accept the following items and will donated to 35 families sponsored by Islamic Society of York Region. If you would like to help, you can either drop off your donations to the school or you can drop off at the church office by Thursday. Below is a list of much needed items. Hudson Taylor Centre of Tyndale University College & Seminary will hold a vision sharing evening on Oct 19 (Mon) at 7:30pm in Tyndale Seminary Chapel. Topic is “An Insightful & Intense Look at China: Opportunities & Challenges”. Keynote speaker is Rev. Dr. James Taylor. For all who are interested in China Ministry and present situation in China, welcome to join. Rev. Dr. Jamie Taylor is currently serving at OMF International as the Sector Leader for Church and Mission Ministry, for China and Beyond Area. 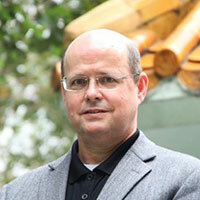 He is the great-great grandson of J. Hudson Taylor, founder of the China Inland Mission (now OMF International). Christian Talking Book Publications, which operates as ‘Talking Book Library’ (TBL) is seeking a part-time Administrator. TBL is a registered charity that publishes Christian themed books in DAISY (Digital Accessible Information System) format for people who are not able to read standard print. The recordings are made available without cost through a national distribution network. In addition, previous supervisory experience, general understanding of Canadian copyright laws, understanding of integrated library systems, and broad knowledge of Christian literature and its authors and publishers, and working knowledge of audio technology, are all valued assets. TBL is a Christian workplace. We thank all applicants for their interest, we will only respond to those selected for an interview. Throughout the summer, there are numerous festivals in the city, celebrating many different foods, cultures, and causes. Yet, we haven’t ever had a Christian festival. Not anymore. On August 21-23 (Friday evening to Sunday afternoon), the GTA is going to have its first Christian Festival – We are Christians Festival 2015. It is a Christian festival to celebrate our Lord with a focus on family, youths and children. It will be held in the outdoor park of St. Mark Coptic Cathedral (NW corner of Warden & Steeles). Various Christian music groups will be performing at the festival. There will be sport activities, children activities, drama, dance, worship, music, food & prizes. This festival is supported by St. Mark Coptic Church, Jubilee Centre for Christian Social Action, Toronto Christian Community Church, 105 Gibson Centre, Youth Unlimited, and Toronto Chinese Evangelical Ministerial Fellowship. You can also visit our website www.wearechristians.ca. The We are Christians Festival will showcase the new face of Canadian Christianity as a strong, multiethnic, Bible-believing community. The presence of your church members would be would be key to the success of the Festival. Encourage the brothers and sisters of your church to join the Festival throughout the three days. Through our songs, our worship, our prayers and our love, we want to proclaim the glory of the Lord in the GTA.